The onePOS Loyalty Solution provides the capability to set up a loyalty program in oneMetrix. This document describes in detail how to set up a basic program using the loyalty solution. 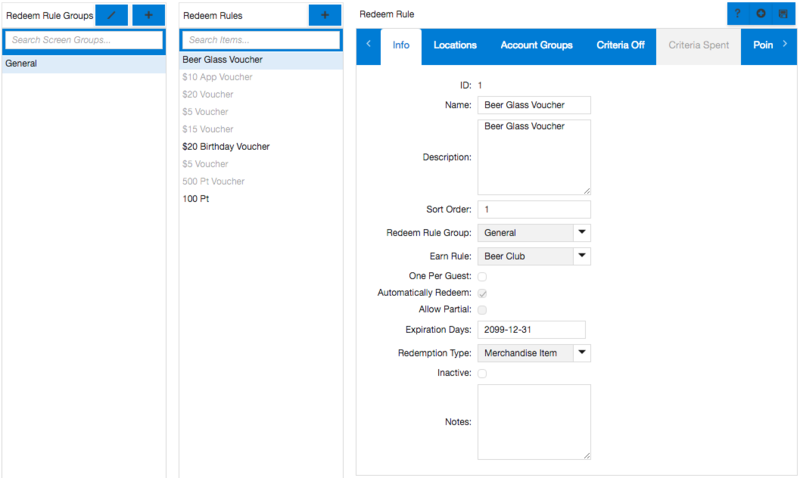 To configure a basic points per dollar loyalty program through oneMetrix, Rule Types may optionally be set up first. 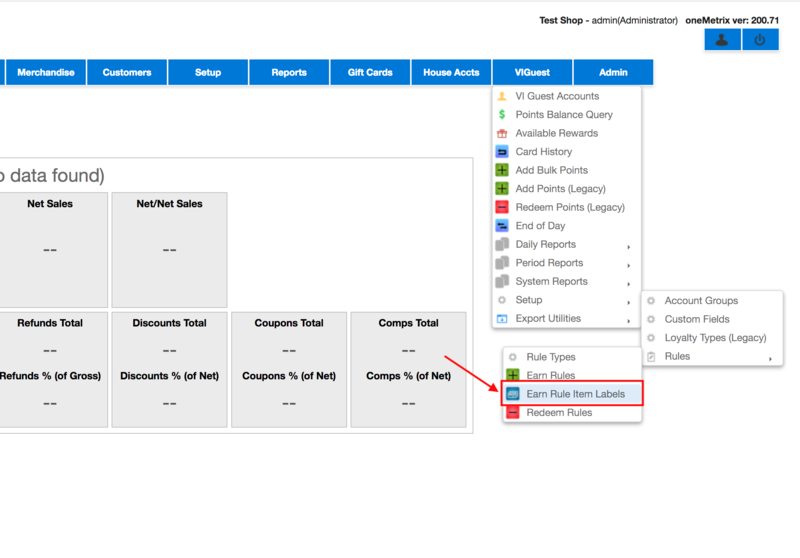 Loyalty Rule Types are used to categorize different rules that share the same criteria type. This provides the capability to define a clear way to start/end similar loyalty programs defined with a rolling point system (points that are never redeemed). Configuring these types of programs is explained further in the document. This is defined at VIGuest->Setup->Rule Types. To configure the Earn Rules, in oneMetrix, select VIGuest->Setup->Earn Rules. Add a new rule, and fill in all the appropriate fields. 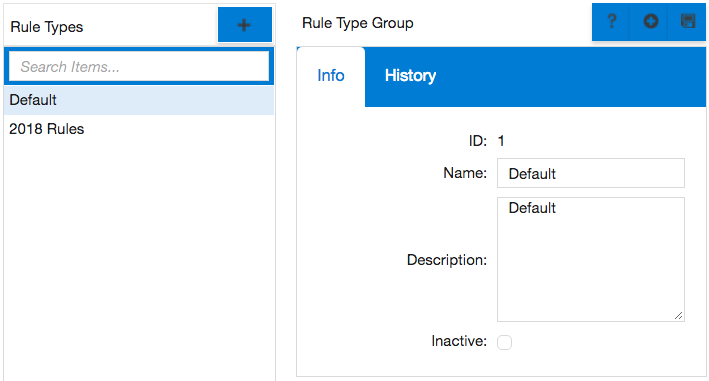 Make sure an Earn Rule Group and Rule Type is selected. 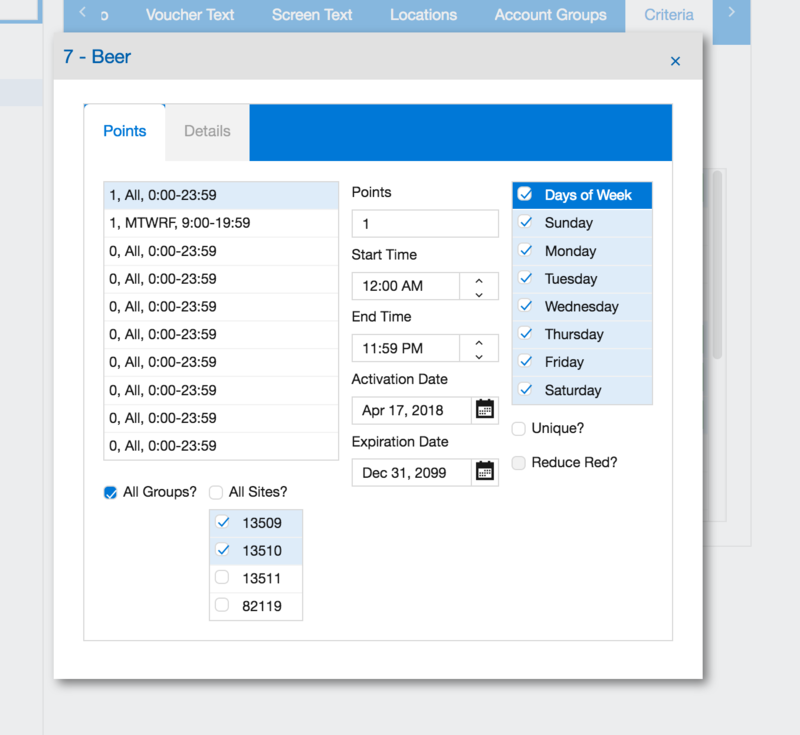 The Voucher Text and Screen Text tabs are used to create customizable messages that are either printed or shown at the POS when points are earned by a guest. The Locations/Account Groups tab can be used to restrict/allow certain locations/account groups access to the rule. 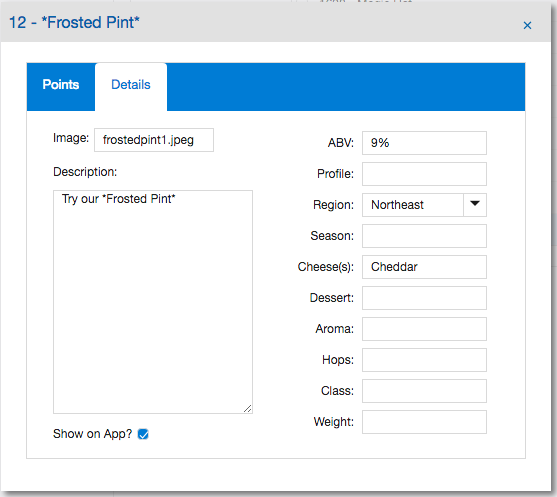 Next, the points and program type are created using the Criteria tab. 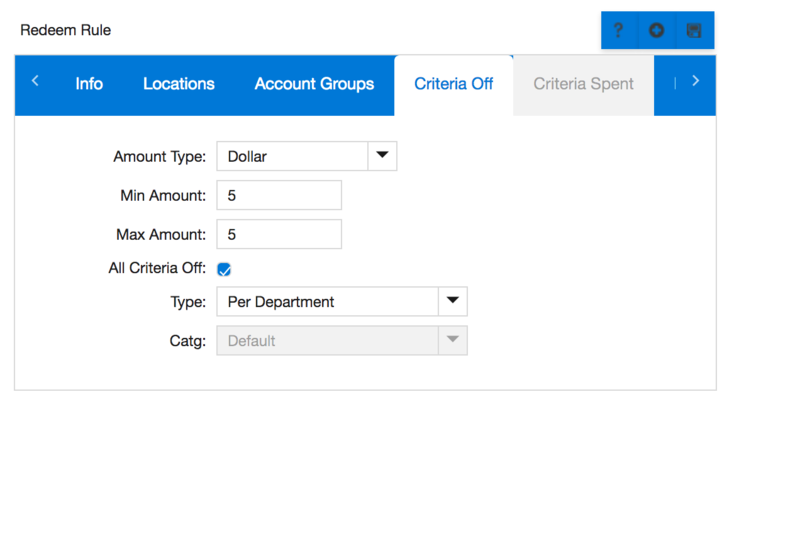 In the example below, the Points per Department Dollar option is selected. 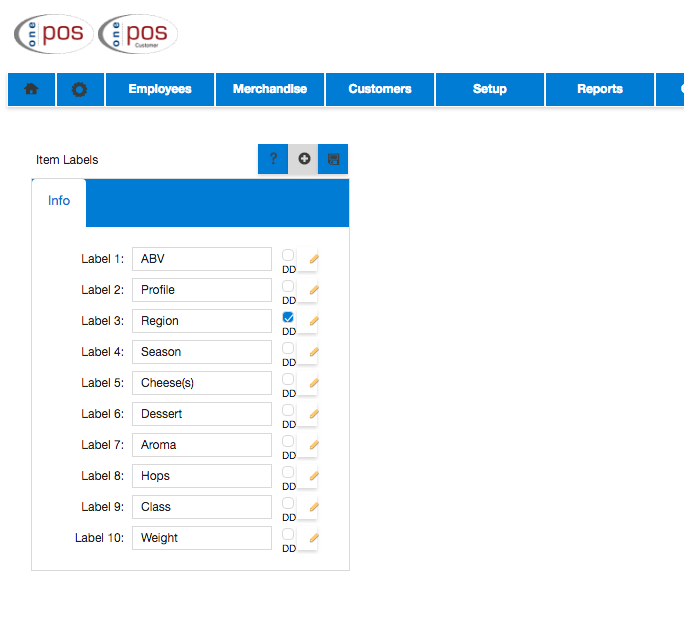 Then check the departments, categories, item types, or items below to add point criteria for each applicable one. The Add/Edit button will appear for configuring the point values for each one. Click on one of these buttons, and the screen below will appear. Enter the point value(s) here. In this example, 1 is entered, which means if an item that costs 9.99 exists on the check and it belongs to the department specified, the guest will receive 9.99 points for that visit. 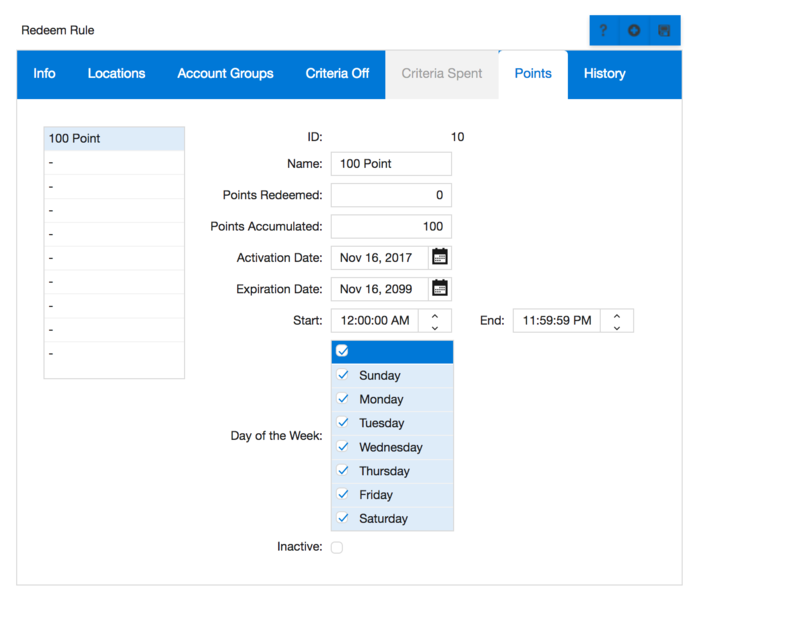 In addition to the point values, you may add various restrictions/options including the start/end dates/times, days of the week, and uniqueness of a point record (whether or not the guest can earn points multiple times for the criteria). You may also restrict point records at certain locations and account groups (levels). This allows you to have a happy hour only in place at one particular location, or have your platinum guests earn more points all within the same rule. 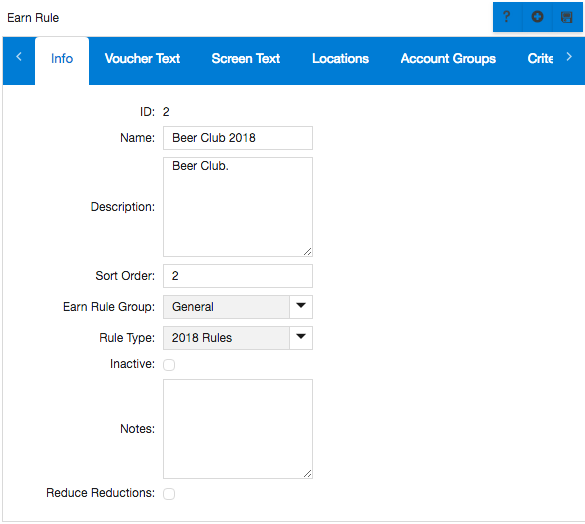 oneMetrix provides a way to set up configurable labels/values for loyalty earn rules defined at the item level (like a beer or wine club loyalty program). These are used for the VI Guest app to show the customer specific information about the items that belong to a loyalty program. Examples of these would be the ABV for a beer club or a Wine Spectator Rating for a wine club, etc. To configure these, select the Earn Rule Item Labels in the VI Guest menu as shown below. Here, enter the name for up to ten different labels. Notice that each label has a checkbox for specifying if the field is a drop down (DD). If this is selected, you can create specific values for this label by selecting the edit button, otherwise the label value can be any text value entered. There you can add/edit/remove custom values for the label (very much like custom fields). 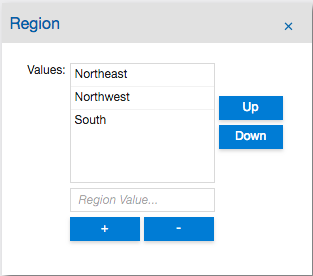 In the example below, see the specific values for the Region label. To define values for these labels for the items belonging to a program, select the Earn Rule Item within a loyalty program. Go to VIGuest->Setup->Earn Rules->Select Rule->Add/Edit Item that is checked->Details Tab. Here you will see the labels with text/selection fields to specify. Notice that there are several other options on the Details screen, which all apply to the VI Guest app. Image: The name of the image file specified for the VI Guest app. Enter the name + extension of the file that provides the image of the item to be shown on the app. If this field is not specified, the software will generate the name of the file by using the UID for the item + the .jpg extension. (For instance if the UID for the item is 1234, then the file name the app will use would be 1234.jpg). This value is just the name of the image. The VI Guest Logo Path set at the Admin Preferences is where this file will exist and from where the VI Guest app will read them. Details: Custom text detailing the item qualities. Show on App? : Whether or not the item will appear on the VI Guest app. Filter Label Values: Either the text field entered or option selected corresponding to the label value specified. Once earning is configured, create redemption rules through oneMetrix, VIGuest, Setup, Redeem Rules. Add a new redemption rule, and fill in all the appropriate fields. Particular fields will be addressed here for clarity. Earn Rule: This is the Earn Rule points from which will be checked and/or redeemed. I.e. I need 500 1 Point/Dollar points to redeem this reward. One Per Guest: This reward can only be redeemed one time per guest. Automatically Redeem: This will turn the reward into an automatically generated voucher. A voucher is a type of reward that is auto-generated when a guest earns the number of points required to receive it. The points are then automatically subtracted from their points balance (if this is set up in the Points tab explained further in this document) and the voucher is generated and stored for future use. Currently, this the only way to configure redemption; a future release of the product will include the capability to redeem points/coupons/items at the POS. Expiration Days: This field is currently only used for vouchers. This can either be a number of days that the voucher is good for: i.e. 30. Or this can be a specific date formatted in the YY-MM-DDDD format. Redemption Type: This is the type of redemption reward. Currently coupon is the only type that is supported. You may set up a coupon for a merchandise item using the Criteria Off tab. Amount Type: Either Dollar, Percent, or Quantity. Min Amount: Minimum amount off. Max Amount: Maximum amount off. All Criteria Off: Whether or not everything can be applied to the rule. I.e. if you wanted to restrict this to appetizers, unselect this option and only select the appetizer items. Enter a name for the type of points to redeem, the number of points to redeem (in the example below, we enter 100), when the redemption points are active, and hit the save button on the left. In this example, once a guest spends $100 worth on any item(s) at the store, the system will automatically deduct 100 points from their account and generate a $5 voucher to spend on any item(s) at the store.